Yahoo Messenger, Google Talk VS MSN Messenger? I like to chat on Yahoo Messenger.. Which one you prefer & why.. 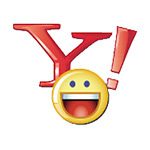 I would prefer "Yahoo Messenger". Because I like it.